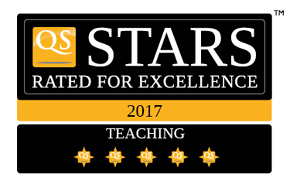 Galgotias University has an excellent compensation package for outstanding academicians with the drive to excel in teaching and research. Total salary package shall be as per UGC sixth pay commission norms and in line with the University’s vision to promote path breaking research. Faculty research activities will be encouraged and incentivized. Deserving candidates may be considered for higher emoluments. Separate application is required for each post. 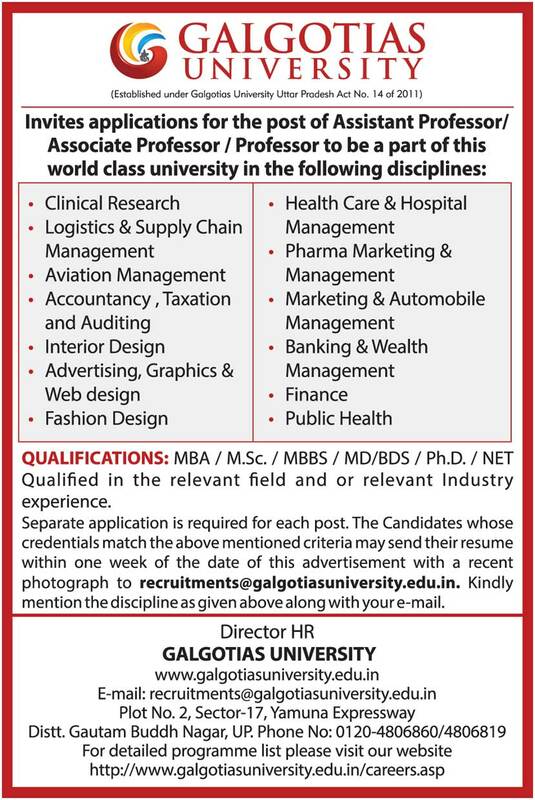 The candidates whose credentials match the above mentioned criteria may send their resume/CV within one week of the date of this advertisement with a recent photograph to careers@galgotiasuniversity.edu.in Kindly mention the course code as given above along with your e-mail. *The selection authority may consider the name of any person for the appointment even if he/she may not have applied and also in absentia.